When it comes to 32Red Casinos for UK players, you are in for a real treat. There are promotions to suit all players and they're not all based on slots games. On this bonus review page, you will find details on all the best offers as well as advice and information on coupon or code details that you might need. We've checked out all the different deals on offer and this page is updated on a regular basis so be sure to check back often. Below you will find all the information you need on the great bonus offers for mobile and desktop that are available for real money players. This includes the 32 Red casino sign-up offer, Ruby Tuesday, Dish of the Day, Red Rubies rewards program and more. Each of these offers is detailed in full below. If you want to test out the 32 Red casino risk-free, they have a special £10 no deposit bonus. 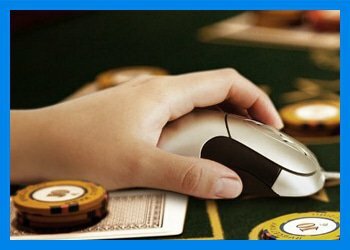 This is a £10 in free casino chips added instantly to your account as soon as you fill in the registration form. This free cash lets you test out the range of casino games on offer and win cash too without having to make a deposit. 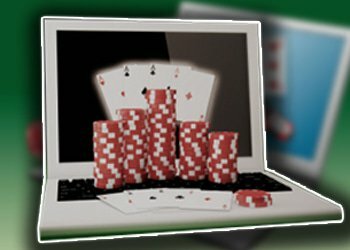 All you have to do to get your hands on a no download bonus deal is register as a real money player, log in and click on the message that offers you £10 free. Follow the instructions and start playing great casino games. It is important for players to note that while they are using their free casino cash the maximum bet size is reduced and larger bet limits are only reinstated after you make your first deposit. The 32Red first deposit bonus gives players up to £160 free. All new players can claim £32 for every multiple of £20 that they deposit up to £160. Just log in and make your first deposit to get your free casino cash. This first deposit welcome bonus doesn't require you to use a coupon or bonus code and all the instructions are clearly displayed on the screen when you log into your casino account. Club Rouge is the exclusive players' lounge available only to members of the 32Red casino. This lounge offers special promotions, additional loyalty points, customised playthrough requirements, gifts, and exclusive offers. The benefits of this club are reserved for real money players who receive an invite to join. If you think you may be eligible for membership you can contact the Club Rouge Player Support Team. It is worth noting that you will need to have achieved the Platinum Loyalty level to be considered for this club. As a Club Rouge member you also get to earn more Red Rubies than regular players and your game contributions are set higher. You get bigger rewards and you can exchange your red rubies for cash with no wagering requirements. All real money players at 32 Red casino become part of the Red Ruby Rewards loyalty program. Every game you play will earn you Red Rubies and help you climb up the levels to reap even better rewards. Players can redeem their points for free casino chips. Every 1,000 Red Rubies can be redeemed for 10 free casino chips. There are five tiers in this rewards program and each of these has their own exclusive benefits. The Bronze level is the first level and you start here when you earn 50 red rubies. You need to earn just 25 rubies to stay at the bronze level. The next level is Silver and you need 1,000 to get here and earn 500 rubies to stay there. Gold is next for 5,000 rubies and you need to earn 2,500 to remain. Platinum is the next level at 10,000 rubies and you need to earn 5,000 to stay at this level. The Club Rouge lounge is by invitation only once you reach the Platinum level. Players move up through the tiers automatically and you need to earn the required amount of red rubies listed to remain on the same tier each month. There are lots of great benefits in each tier and the higher you go the more bonus offers you receive. There are some great personalised promotions available when you hit the Gold tier. Redeeming your rubies is easy and all you have to do is click on the R icon at the top of the casino games. You can only redeem your points in units of 1,000 rubies. Ruby Tuesday Offer is Just for You! Double your loyalty points with Ruby Tuesday: Every Tuesday players can opt in to get double loyalty points on Emperor of the Sea, Classic 243, Pollen Party, and Mega Money Multiplier slots. Just opt in and play any of the selected games to receive double loyalty points that day. At 32 Red Casino players can get a new bonus every day of the week. These are daily mouth-watering bonus offers that you won't want to miss. Getting the daily bonus is simple. Just log into the casino and wait for the Dish of the Day notification to appear. Click on it and follow the instructions to opt-in for that day's bonus. Make your deposit and the bonus will be automatically added to your account. Why Use a Bonus? - 32 Red Knows the Reason! Using bonus offers are a great way to stretch your bankroll and make it last longer. Whether you get free money with the special no deposit bonus or through the first deposit bonus, you will get real money right away. 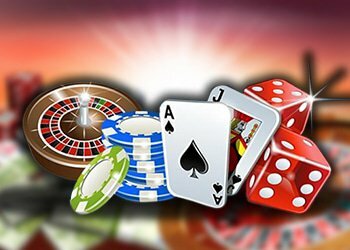 There are daily and monthly promotions for all players and all of these offers give you even more free casino cash that will help you enjoy free live casino games with the ability to win real money. Try your hand at casino 32 Red today. Get red-hot casino news from around the world to your virtual doorstep! Our visitors from the UK and elsewhere are welcome to check in regularly for the latest news, new game information and everything in between. Score 10 free games on selected slots this football season with 32Red Casino's latest online promo. Embark on a profitable venture with 32Red Casino when you play the new horse-racing themed slot from Microgaming, complete with respins, free spins, and more. Venture into the Wild West while playing Microgaming's new Showdown Saloon slot at 32Red Casino and indulge in free spins, respins, Mystery Stacks, and more. Play the new Lucha Legends slot from Microgaming at 32Red Casino and enjoy free spins, multipliers, a Super Wild feature and more with a 32Red Casino bonus. Step inside 32Red Casino's Club Rouge VIP programme and indulge in royal rewards, bespoke bonuses, free gifts, and a whole lot more when you become a VIP. Become an instant millionaire by playing Microgaming's Mega Moolah progressive jackpot slot at 32Red Casino for a chance to walk away with over £12 million. Race for your share of cash in the 32Red Casino Daily Live Games Gala promotion and win. Time is limited, so start playing now!